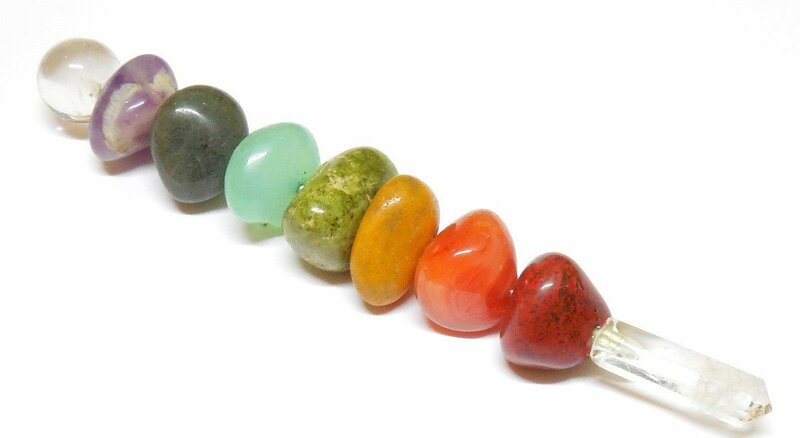 The purpose of the Chakra Balancer is to realign and balance the energy fields of each specific chakra, thus aligning and harmonizing mind, body, and soul. 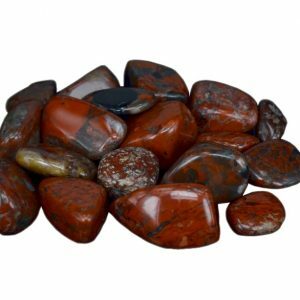 It will aid in dissolving stress, removing blocks and an overall sense of better health, joy and abundance. 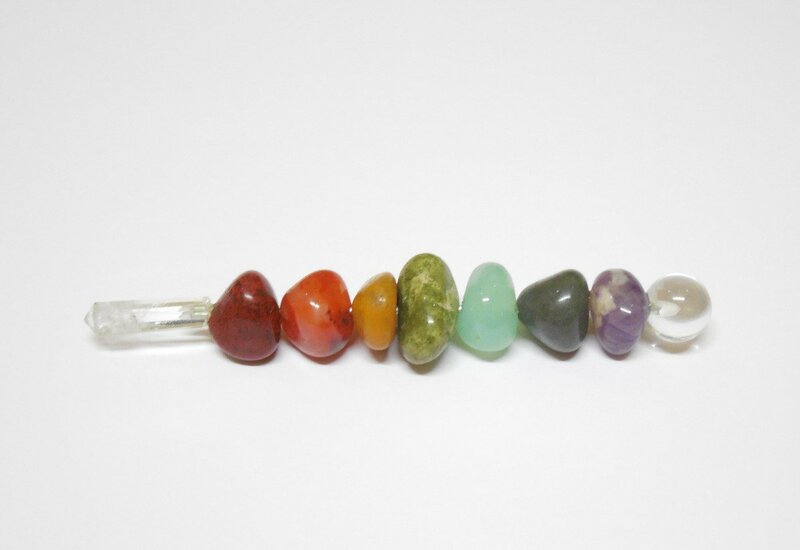 Each wand is individually made, so no 2 pieces are exactly alike. 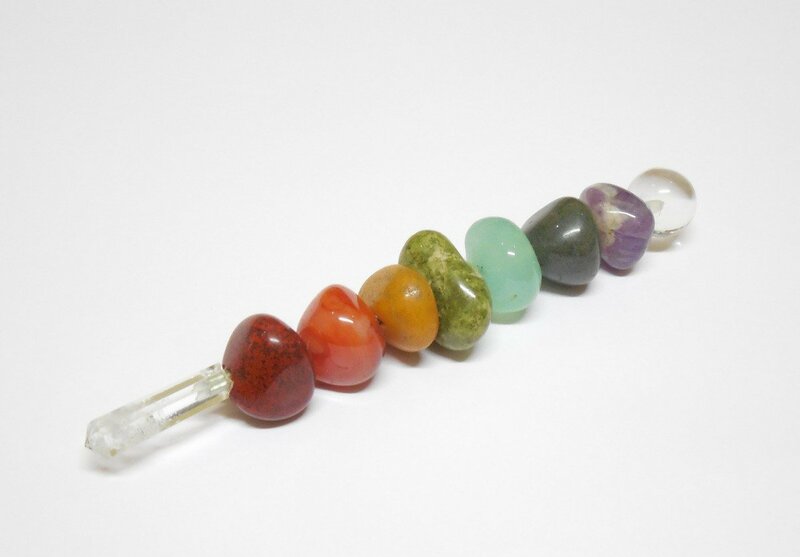 Healing Wands are used to focus and direct energy. 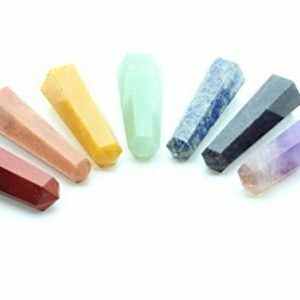 Since ancient times, wands have been used for healing by healers all over the world. 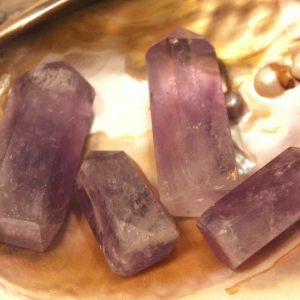 Healing wands gather and direct energy. 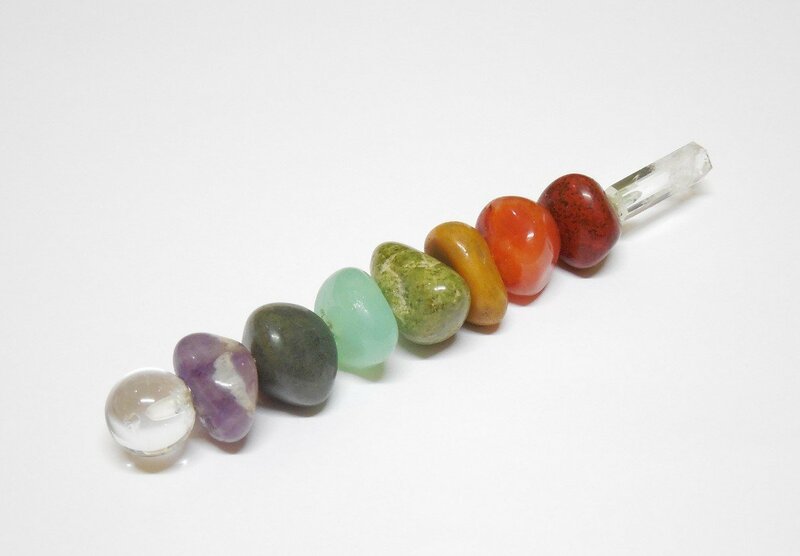 Healing wands can be used in many different methods of healing. 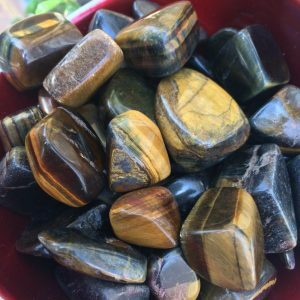 They can be used to heal the entire body or aura, or they can be used on a specific area of the body. 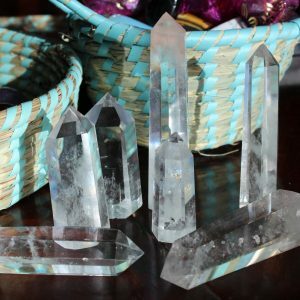 They can be used to scan the aura to locate blockages, and then cleanse and heal them. You can also use the wand to meditate. 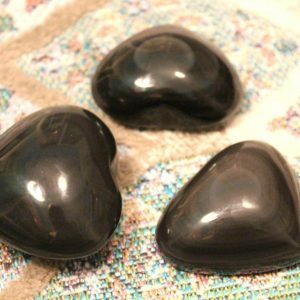 Always place the wand in your left hand, left hand being symbolic for receiving energies. The wand is made up of genuine semi-precious tumbled chakra stones with a crystal sphere at the top and a crystal point at the bottom.